Some copies has a "XOT" sticker over the "OT" part of the catalog number on the rear sleeve. i came across this amazing record today and just had to buy it! 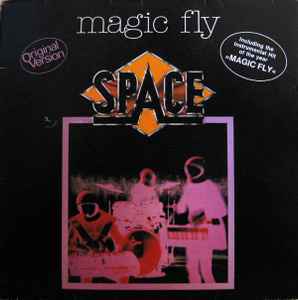 great synthpop, space disco album. obviously DAFT PUNK have listened a lot to that stuff and probably are even inspired by the outfits of the band, for they all look like the well known spacemen. OK, Newcleus did that too, still i guess the frenchman knew pick up sth. for their anonymous style from this classic.